It’s easy to understand why new Facebook features always make huge waves. With an audience of 1.59 billion active users, changes to the platform can affect a massive amount of people, both personally and professionally. I recently had the pleasure of joining Adam Reader, a senior strategist from LIDA (an M&C Saatchi company) , Cam Uganec, senior director of growth at Hootsuite, and thousands of attendees for a webinar. We covered some of the new features that are changing the game for businesses on Facebook, as well as some recent statistics and best practices. In this post, we’ll look at three of the new Facebook features that I touched on in the webinar. These features are either currently available or coming soon: Facebook Reactions, Facebook Live, and Instant Articles. The newly released Facebook Reactions have given users the ability to express a wider range of reactions towards any post, above and beyond the famous little thumbs up. This means your audience can now tell you how they feel about your content in more specific ways. For social marketers, this opens up a much bigger window into audience sentiment, something that has been notoriously difficult to capture accurately in the past. Pay close attention to these Reactions and you’ll uncover insights that you can use to test and fine-tune your content strategy. (Page Admins have access to basic Insights in terms of numbers of specific Reactions. So far, in-depth Insights in the exported data is not yet available but may be coming soon.) You may notice, for example, that posts receiving more “haha” reactions end up being shared by your audience more often than something that attracted primarily “sad” reactions. If shares are a metric you’re particularly focused on, then creating humorous content for Facebook may help kick these engagement numbers up a notch. One of the most powerful things about social media is its ability to both document the world over time, and broadcast live events as they happen. Facebook Live, which is a feature enabling the broadcast of live video, has already been rolled out to all verified Pages, and will be rolled out to all profiles and business Pages in the near future. If your brain isn’t already bursting with ideas, just think of the opportunities this could offer your business: live streaming major company announcements, behind the scenes tours for your audience, live Q&A sessions, breaking news updates, product demos, unboxing, and so on. There are two main benefits of using Facebook Live. One, is that you’ll have access to a built in audience for your videos (anyone who has liked your Page can discover your live videos in their News Feeds and through notifications). Second, is the fact that your videos won’t expire and disappear after they’ve been broadcasted like other live streaming services such as Meerkat or Periscope. Instead, they’ll be published on your Timeline so your audience can watch at a later date. Whether you have access to Facebook Live yet or not, , be sure to watch the webinar to learn the latest best practices and helpful tips for using Facebook Live. 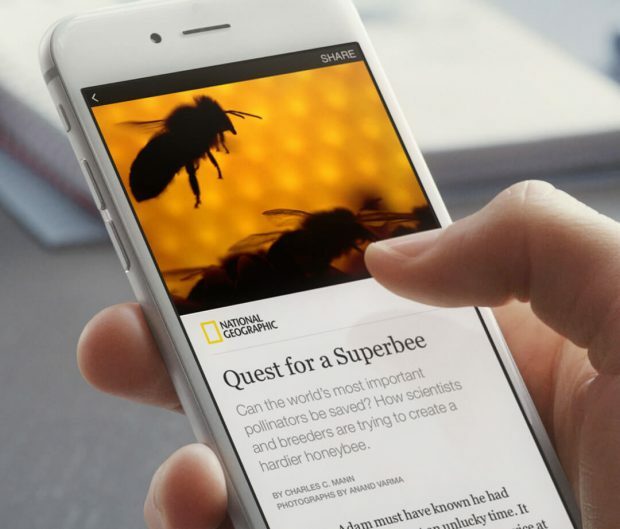 Facebook rolled out its Instant Articles format in 2015 to give publishers a better way of creating fast, interactive content on Facebook mobile. Starting April 12 this format will be available to all publishers, big or small. Instant Articles on Facebook load 10 times faster, and offer you a chance to generate revenue from your content. As a publisher, you can either sell ads directly yourself, or get help from Facebook in exchange for 30 percent of the revenue. Facebook recently released a WordPress plugin for Instant Articles to ensure publishers have a seamless way to tap into the power of this new product. You’ll be able to add email signup widgets and other call to action buttons, embedded in your Instant Articles. The number one reason people don’t visit a website on mobile is slow load time. So you’ll want to ensure you have great content to share once Instant Articles are at your fingertips. This is an opportunity for you to reach more of your audience with fast-loading, interactive articles that are a reflection of your brand—make them count. Get the full insights from the Facebook Best Practices for Business webinar—watch it now! Often referred to as “the Queen of Facebook,” Mari Smith is considered one of the world’s foremost experts on Facebook marketing. She is a Forbes’ Top Social Media Power Influencer, author of The New Relationship Marketing and coauthor of Facebook Marketing: An Hour A Day. 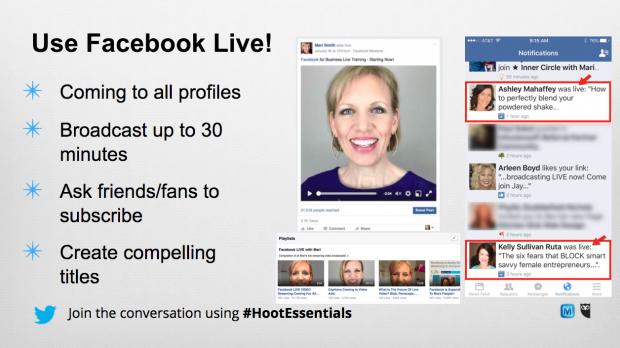 Facebook hired Mari to teach at the 2015 Boost Your Business series of live events. Visit her on her website or find her on Facebook.